VolkswagenVolkswagen’s I.D. Vizzion points toward the future of the automotive industry. Volkswagen revealed the I.D. Vizzion concept at the Geneva International Motor Show on Monday. The car has Level 5 autonomy, which means it is capable of driving itself in all situations without any human assistance. The I.D. Vizzion also has a 111 kWh lithium-ion battery and a two-motor, all-wheel drive system that packs 302 horsepower and has a range of 413 miles per charge under the European testing system (which can produce inflated results). As Volkswagen prepares to launch its I.D. 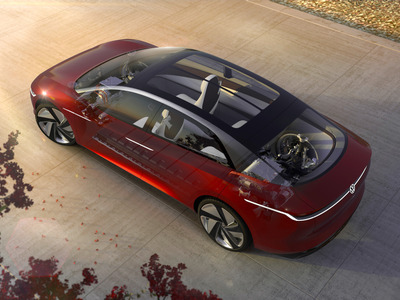 series of electric cars in 2020, the company unveiled the I.D. Vizzion concept at the Geneva International Motor Show on Monday. 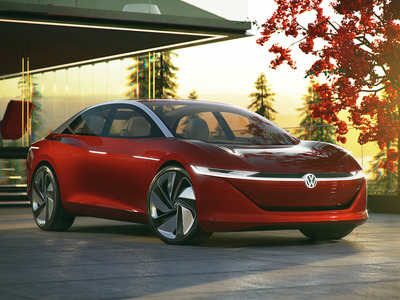 While Volkswagen has not announced concrete plans to make a production version of the I.D. Vizzion, its electric drivetrain and self-driving technology point toward the automotive industry’s future. The car features a 111 kWh lithium-ion battery and a two-motor, all-wheel-drive system that packs 302 horsepower and has a range of 413 miles per charge under the European testing system (which can produce inflated results). The I.D. 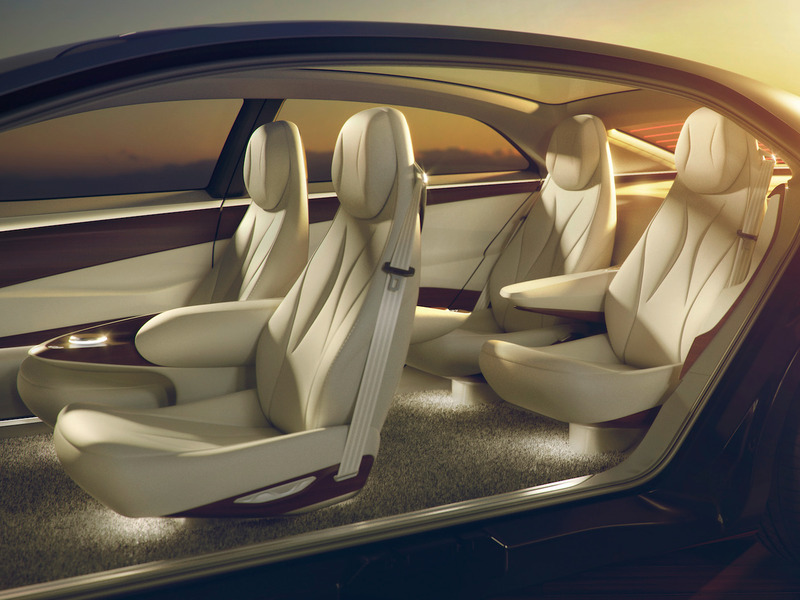 Vizzion’s most striking feature is its Level 5 autonomy, the highest level of autonomy in a self-driving car, which means the car is capable of driving itself in all situations without any human assistance. As a result, it doesn’t have a dashboard, pedals, or a steering wheel. Instead, passengers would control it through voice and gesture control systems, and would have the option to use Microsoft’s Hololens augmented reality glasses if they own a pair. 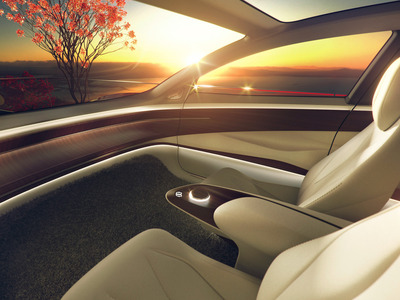 AI technology allows the car to learn its passengers’ preferences on climate, entertainment, lighting, and seating preferences. Volkswagen also indicated that passengers can control scents that are pumped through the car’s interior. In a press release, Volkswagen says the I.D. 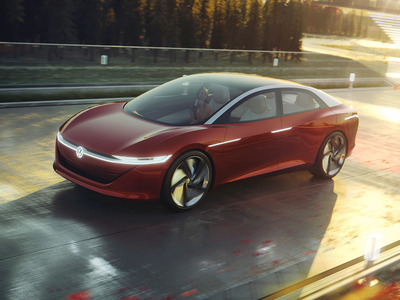 Vizzion is “a vision of what may be possible by the year 2030,” so don’t expect to see this exact version on the road anytime soon. But the company does plan to release a production version of the vehicle by 2022, and also plans on production versions of the I.D. compact car, I.D. Crozz crossover, and the I.D. Buzz, which is a reboot of the company’s iconic minibus, in the next five years. 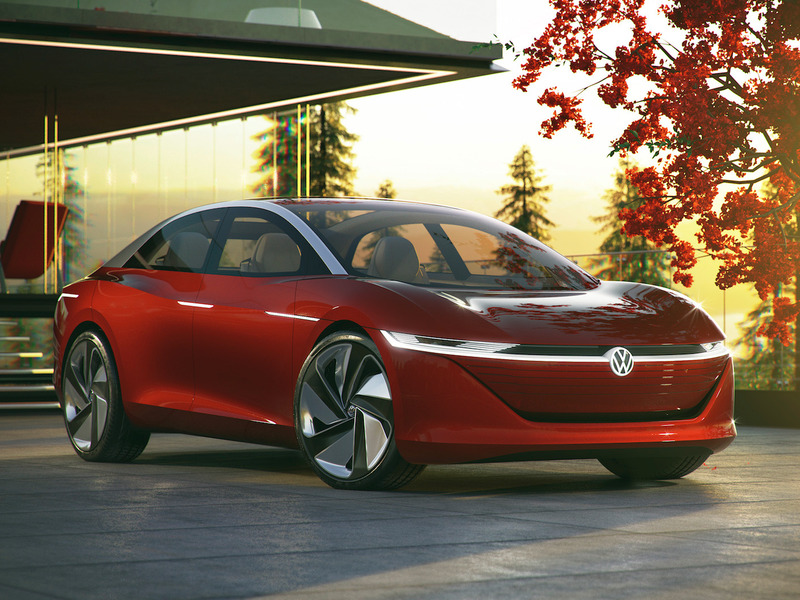 Take a look at Volkswagen’s renderings for the I.D. Vizzion and its features below. The I.D. Vizzion concept is part of Volkswagen’s I.D. series of electric cars. The car features a 111 kWh lithium-ion battery and a two-motor, an all-wheel-drive system that packs 302 horsepower and has a range of 413 miles per charge under the European testing system (which can produce inflated results). It has Level 5 autonomy, which means the car is capable of driving itself in all situations without any human assistance. As a result, the I.D. Vizzion doesn’t have a dashboard, pedals, or a steering wheel. 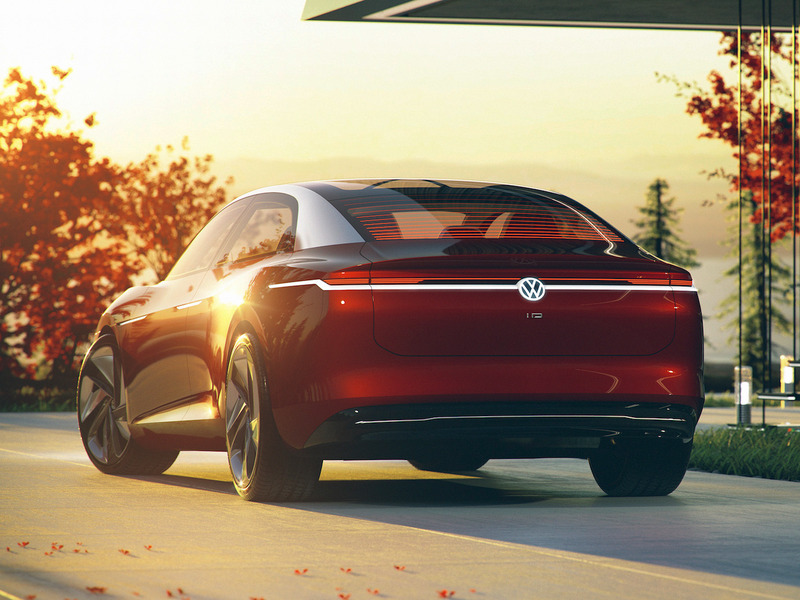 Volkswagen said the car represents “a vision of what may be possible by the year 2030,” but it aims to have a production version by 2022.